Imagine a workplace where everyone is totally dedicated — not just to their work but also to their colleagues and to the culture and aims of the organisation. Imagine how creative and productive those people would be. This is not a pipe dream. Employers can construct this kind of high-achieving environment by focusing on elements that create extraordinary levels of engagement. A key element is a sense of purpose. As the London School of Economics Professor and expert in behavioural science, Paul Dolan, outlines in his seminal book “Happiness by Design”, there are two main ingredients that create happiness on a daily basis. One is based on pleasure and the other is centred on purpose. And, as we all know, when we are happy we more likely to feel content and engaged. At JLL, our specialism has traditionally been the physical side of the workplace. But as our new global study, Workplace – powered by Human Experience shows, we are also working on the broader, non-physical issues. Our research uncovers how real estate can help your staff to feel a sense of purpose at work. I will focus on three. One way, albeit a somewhat counterintuitive one, is to move away from designing workspaces in a purely functional mode. All of us feel more satisfied if we serve a higher purpose than one confined to a narrow ambit. Take a meeting room, for instance. If designed with the brutal simplicity of a prison cell, the room will drastically reduce creativity and communication levels. But, if you build in space, beauty and stimulation, you will find that your gatherings are far more productive. Thirdly, you can use your company’s brand as a means of demonstrating your corporate values and mission through the workspace. This focuses staff on the end goal. To cite JLL as an example, we rebranded this year and employ our new symbols to indicate subtly to our personnel that we now communicate in a more fine-tuned way, one that borders on the artistic. Our use of texture, pattern, certain images and the colour red, all run through our office design, metaphorically underlining our shared aim to connect with others in a joined-up and human way. In our research, which is based on a survey of more than 7,300 employees globally, we heard from the world’s largest appliance manufacturer, Whirlpool. They told us how they brought product design to life by building it into its workplace — with some light fittings, for instance, reflecting the configuration of their washing machines. “Our premises form an important part of how Whirlpool employees experience the brand and how the workplaces inspires them in their work,” noted Lee Utke, Whirlpool’s Global Corporate Real Estate Director. That sense of purpose is also achieved by letting people know their views are important. The University of Stanford did this by constructing a theatre-like stepped design as a location where employees could discuss issues on a grander stage. Giving staff a platform to speak from is a way of showing them that their views are important. And people have a fundamental need to engage with each other from the heart. Our research shows that 90 per cent of them want to learn, grow and share knowledge with their co-workers. Purpose, in a very broad sense, also comes from spending time with people we admire and whose values we share. In such cases, we validate each other and become more creative because we communicate well. Incorporating those values into the workplace design is a way of sending out a signal to like-minded people that this is a place in which they will flourish. Dr Marie Puybaraud is global head of research at JLL. 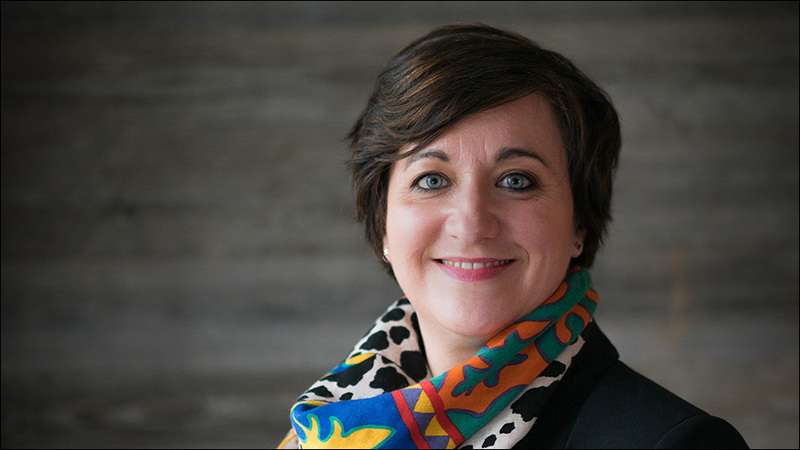 Dr. Marie Puybaraud is a recognised thought leader on workplace innovation, with a significant track record of research on CRE/FM and Workplace industry futures, workplace strategies, technologies, generational issues at work. She has appeared in many publications in leading international press, including the Journal of CRE, The Economist, New Statesman, The FT, Le Monde, Le Figaro, BBC News online, Daily Telegraph, Il Sore 24, Handesblatt and the G8 Summit Report. In addition, Marie is well known for her presentations and keynote speeches at all major global symposiums and consortiums on CRE, FM and Workplace (including McKinsey Executive Academy, Milan Furniture Fair, WorkTech, CoreNet, IFMA). Marie holds the post of Global Head of Research JLL Corporate Solutions and is responsible for driving the thought leadership agenda in line with JLL CS2020 strategy, working closely with the regional research teams to deliver best-in-class research to clients around the world. She is an expert in the field of Workplace Innovation, Futures and Trends. She is a member of CoreNet Global and the CoreNet Core Club, IFMA, Strathmore Who is Who, The Continental Broadcast Network and STARS.